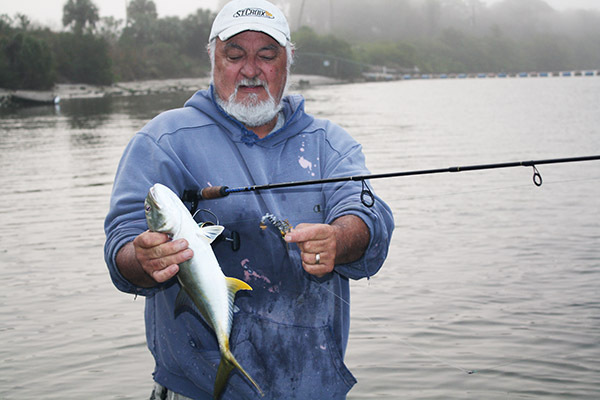 Being a fly fisherman since birth, I have spent my life trying to imitate ‘live bait’ From tying the perfect red salmon egg, for Alaskan big bow’s, to an eel fly to trick a free swimming cobia in the Panhandle, the more it looked acted like the real thing the better. 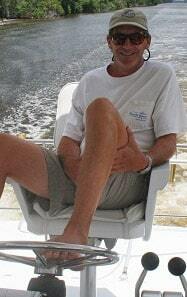 Now I do use live bait, my largest three marlin both blue and black were tagged using a bridled livey, and it is much more fun floating out a couple of pinfish while at anchor, kicked back, wine glass in hand, and rod in a rod holder, letting trout and drum find their own dinner. 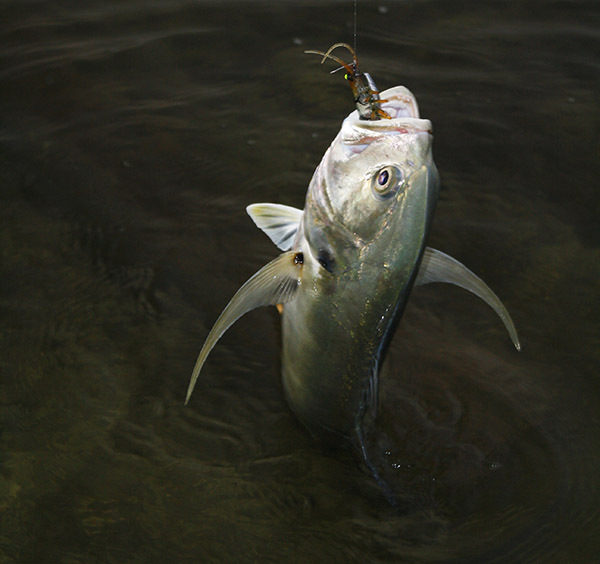 With that said, 90 percent of my time on the water, I’ll be using lures (trolled or cast) and fly gear. The countless hours over a fly tying table have taught me peace. Ray, my fish guy, who owns the sport’s supply wholesale company we buy from, brought in a box of a new product designed for the inshore flats fisherman and upon opening the box, I saw that someone had produced the ultimate imitation live bait. These guys just matched the hatch. Savage Gear 3D TPE Shrimp, (and if your tackle store doesn’t have any on the shelf, e-mail me because I’ve bought up hundreds of them. ), it is a good thing duck season just ended or my lab would have run away, because of my new found interest in trout fishing sans the Pinot Grigio. Ok, Savage Gear has knocked it out of the park on this one, I foolishly put the small box of lures in the store where people could see them and I had to grab the last two before they all sold. I went to the New Port Richey power plant the next morning, armed with my Penn Battle loaded with 10 lb test power pro and my two Savage shrimp. Three casts later, I got bitten off, never even felt more than, no-weight, just gone. The old timer next to me just said ‘blue fish’. I tied the next one (the last one) on with the heaviest leader material I had with me and waded back out, two cast later I had about a 20 inch trout at my feet, but pulled the hook as I tried to beach the fish. Then I lost that last Savage a few casts later. I was on the phone to Ray on my walk back to the truck, next shipment was due in a week, but it was a small order. “How many do you want Cork?” “All of them!” Ray then had to calmly tell me that he had other customers and that just wasn’t possible. So the order that I did receive that Monday went right into my truck, I lied to my customer telling them they were on back order. 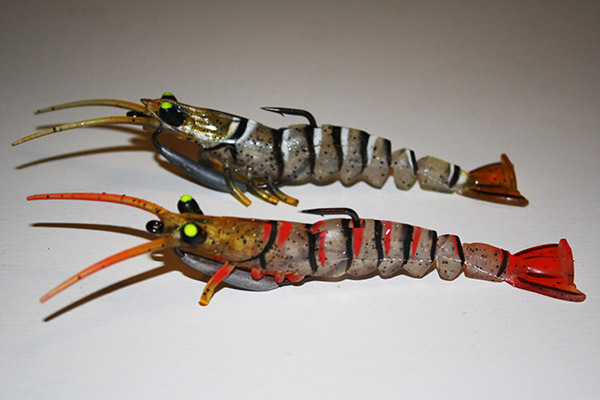 The Savage TPE Manic Shrimp come in 3 sizes, and 6 colors in each size, the 2 ½ inch has a 3/25 oz weighted EWG hook msrp $5.99, the 4” has a 3/11oz EWG hook msrp $6.49, and the 5” 1/2oz msrp $6.99. Far and away the 5-inch out fished the other two sizes, at least two to one in my experimentation phase. Now I’ll only tie on a small one if I am out of the 5 inch. I’ve grown fond of the blue pearl and natural colors but have caught fish on them all. I did a lot of product research and testing for LL Bean in my Alaskan days and would love to give these guys some feed back, so I am, right here. Savage you have a great product; you now need to offer what we as consumers need. The tail section is infused with nylon mesh this is pretty tough stands up well to trout and drums, but not tough enough for a bluefish, or spanish mackerel, but when you think about it anything shy of wire is going to be bitten in half. You need to offer replacement shrimp as I have lost two shrimp to jacks. They just ate them and all I got back was the EWG hook. Something along the line of two rigged lures with 5 replacements bodies would be a cool package. I suggest you modify the weedless pocket, on the back of the shrimp’s head; it does not really work. If you toss this into a grass bed it’ll get hung up. Lastly, the small molded piece that holds the hook under the baits chin, also needs the mesh infused treatment because these rip out fairly easy and you then need to do some in field mending to be able to fish the bait again,(I ended up tying the head to the shank with a piece of power pro) This is a new product and some bugs are expected, but man are they fishy. I have stood side by side with a very good bait fishermen using live shrimp and match him fish for fish. 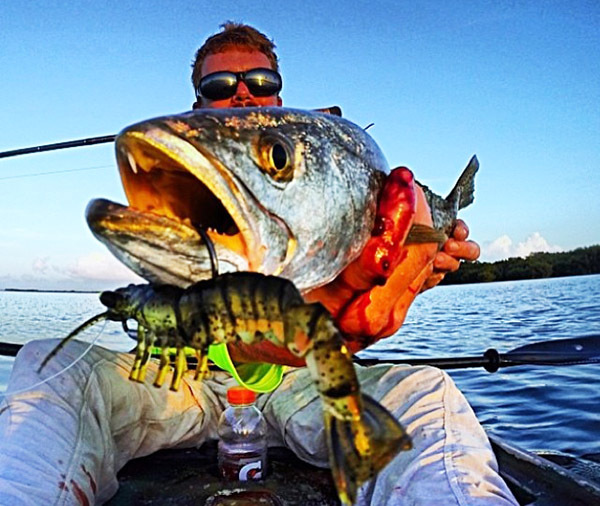 On my next Keys trip, I’ll take a bunch of the smaller ones and rig them light and try with my 10 weight for bones, I bet they will just crush them. Soft plastics have come a really long way, and Savage has just taken it to a whole new level; these are killer baits.